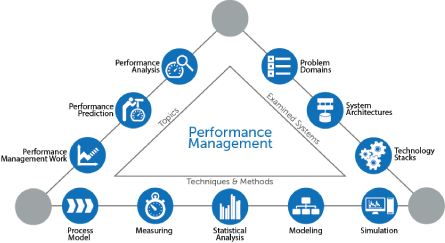 Enterprise performance management (EPM) systems enable business leaders to drive performance by aligning the entire organization with strategic goals. Linking high level strategies to clearly defined objectives and cascading goals down to specific employees and metrics ensures alignment through the company. Today’s EPM applications provide powerful platforms for CEOs and CFOs to communicate corporate strategies and objectives down to all levels of the organization and to receive real-time indicators on progress toward those targets. Integrated corporate performance management and business intelligence exponentially multiplies the value of data assets by providing a unified view of the organization and an analysis framework to answer: What would be the impact of a price change? Do I have enough production capacity to achieve my sales targets? How does recent customer activity trend predict future behavior or attrition rates? How much should I budget for warrantee and obsolete inventory costs? 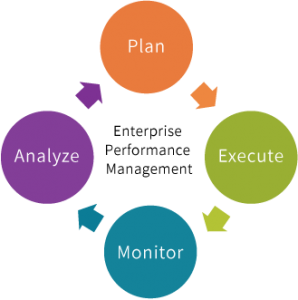 The Advanced Analytic Services EPM team delivers management dashboards, scorecards, planning and forecasting tools, plus a range of implementation services for widely-used EPM applications. Dashboards allow managers to monitor operational and financial measures, trends, and exceptions. 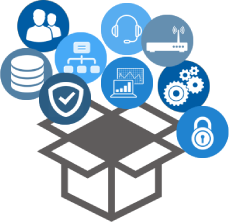 Our consultants will integrate the EPM application with the data warehouse, BI platform, ERP and CRM systems, so the organization can continue to leverage its IT investments. 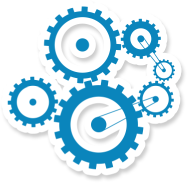 Implementing technology without process redesign is the only part of the solution. Advanced Analytic Services consultants contribute domain knowledge and real-world experience to realign your business processes and improve financial reporting and planning. Solid financial processes mitigate the risk of missing targets, increase visibility to better monitor expenses, and ensure compliance with Sarbanes Oxley, Basel II, and other regulations. We offer CFOs consulting services for best practices financial management, regulatory compliance, planning and budgeting, financial consolidations, expense control, activity-based costing, and performance management. Our team of financial experts can help your organization shorten closing and budgeting cycle times, increase accuracy in plans and forecasts, and quickly generate financial reports and what-if analysis. Combined with technical applications, our in-house financial practice ensures that you receive a complete financial management solution.